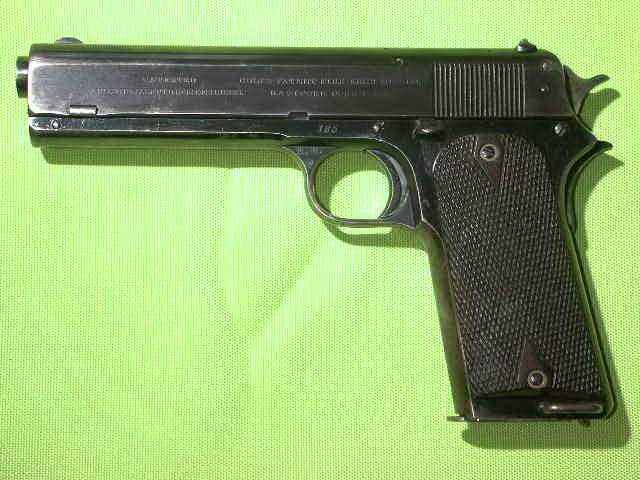 A single officer presided over the inspection of the Model 1907 Contract pistols. 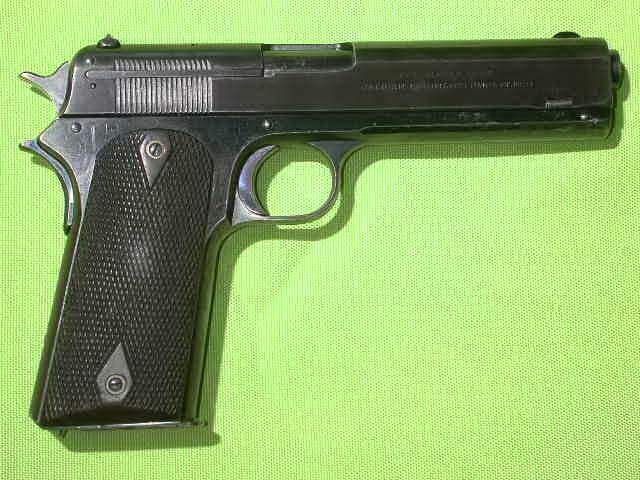 All of the pistols in the 1 - 200 range bear the initials "K.M." 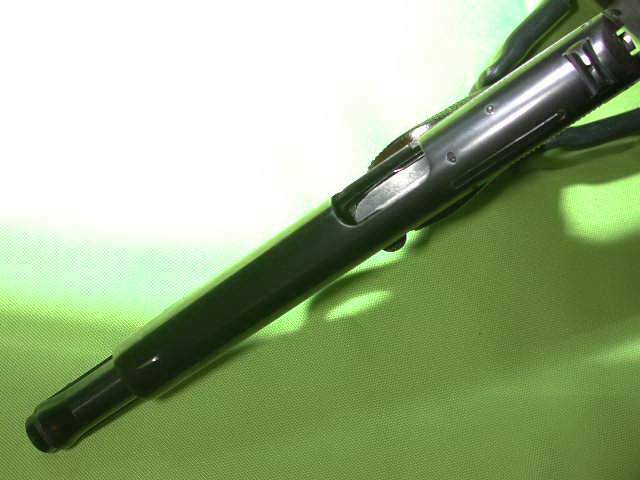 for Major Kenneth Morton. 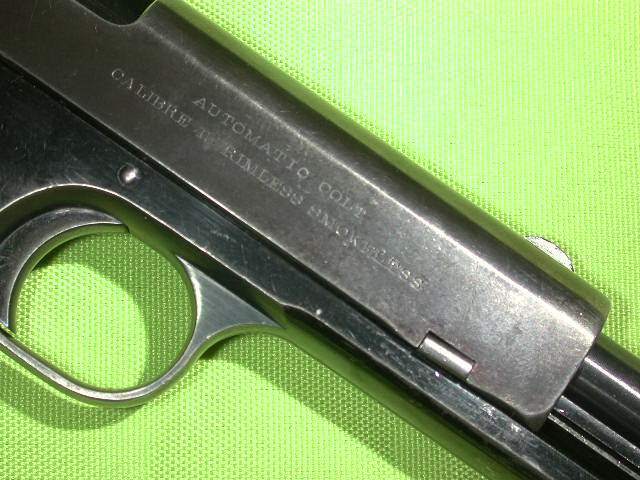 These initials are hand stamped into the upper leg of the trigger guard on the left side. 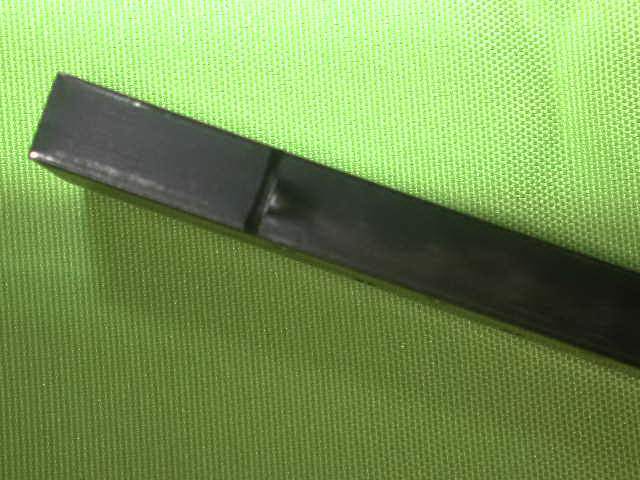 Major Morton assumed the post in April 1907 and acted as the inspecting and accepting officer throughout the fiscal year 1907 - 1908. 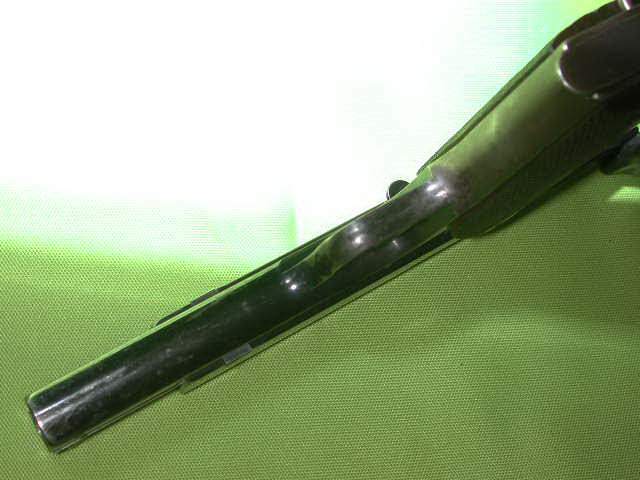 The gun has the original style grip safety. 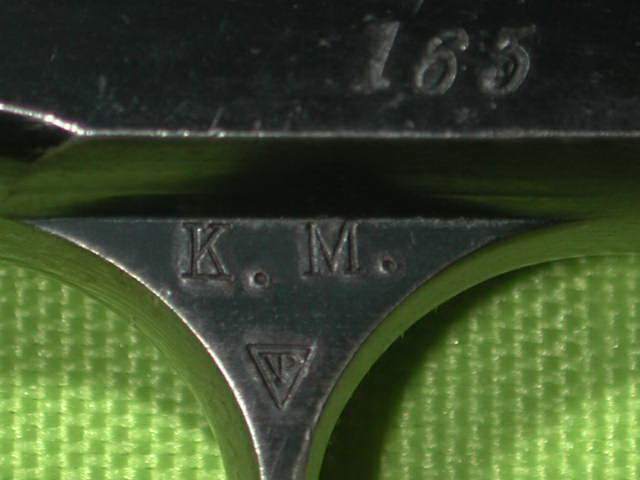 Close-up of serial number 165 with "K.M." 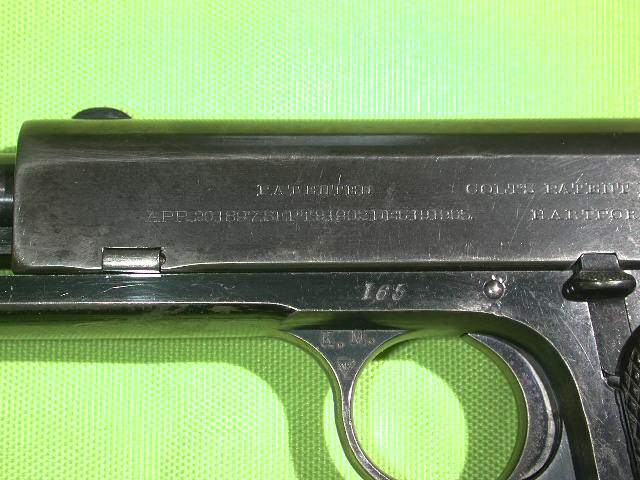 inspector's mark and Colt Verified Proof mark (VP in a triangle) on the upper left flat of the trigger guard. 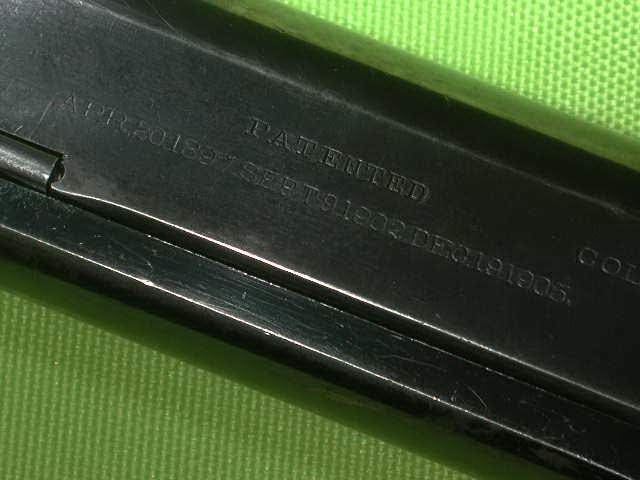 Partial left side slide legend and serial number. 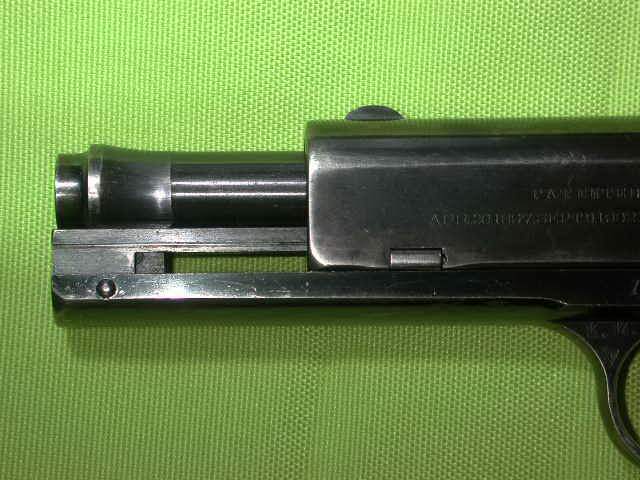 Left front of frame and barrel with slide retracted. 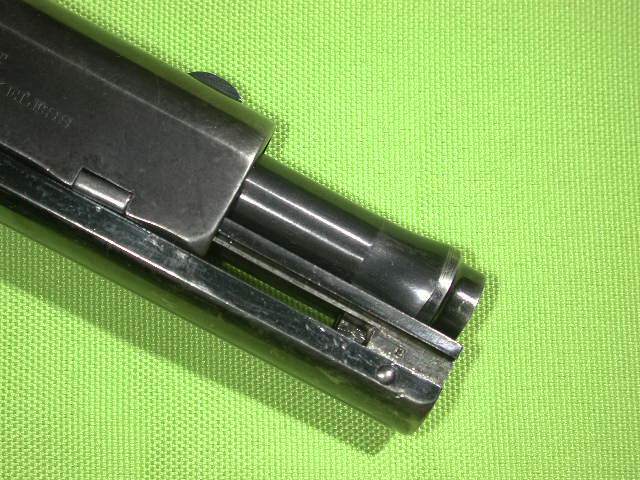 Right front of frame and barrel with slide retracted. 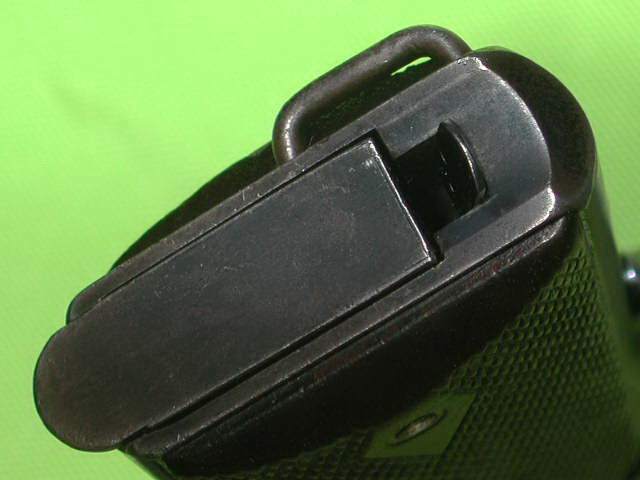 Base of magazine and grip showing factory lanyard loop on left side. 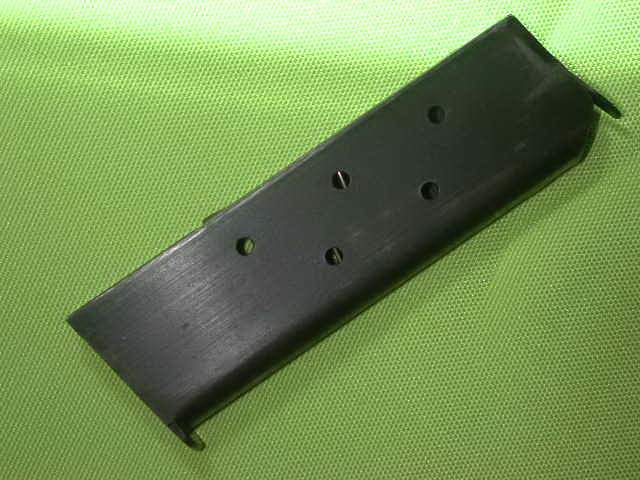 Rear of magazine showing hump and groove which interacts with magazine release.